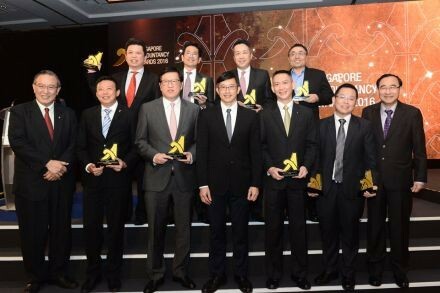 THE best and brightest from the local accountancy sector were on show earlier this month at the Singapore Accountancy Awards. This is the second time the awards have been held, following the inaugural edition in 2014. Organised by the national accountancy body, the Institute of Singapore Chartered Accountants (ISCA), the awards are a mark of excellence for businesses and individuals while promoting good practices and strengthening the branding of the profession and industry. The initiative is supported by the Accounting and Corporate Regulatory Authority and the Singapore Accountancy Commission. The winners were unveiled at a gala dinner held in conjunction with the Singapore Accountancy Convention 2016. The event was officiated by Teo Ser Luck, Minister of State for Manpower and ISCA adviser. 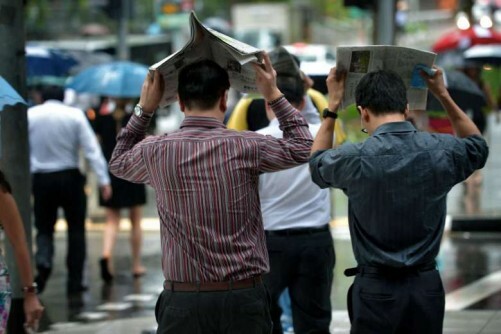 Lee Fook Chiew, ISCA chief executive officer, said: "The accountancy sector has been identified by the Committee on the Future Economy as playing a vital role in Singapore's economic development. Through the Singapore Accountancy Awards, we honour these outstanding organisations and individuals, who represent the best in the sector, for their contribution towards the profession and Singapore's business landscape." Themed "Ovation for Excellence", the awards is made up of two main categories: "Business Excellence Awards" and the "Individual Excellence Awards". The Business Excellence Awards seek to honour accounting firms that stand out for their dedication to building a distinguished practice. In this category, PwC Singapore emerged as the winner of the Best Practice Award (Open Category). "I think one of the most important factors (to sustain excellence) is to never rest on your laurels, but instead, to constantly strive towards being the best we can be. We purposefully look for ways to improve all aspects of our business, build stronger relationships, and exceed expectations at every touch point with our clients," the firm said in a statement. Meanwhile, Crowe Horwarth First Trust clinched the Best Practice Award (Large Practice Category), for putting in place dedicated and tailored staff programmes. "Our pursuit of excellence in whatever we do is driven by our core values of caring, sharing, investing and growing. We set high standards for ourselves and we continuously invest in our people so that they are able to maximise their potential," Crowe Horwarth said. For the Best Practice Award (Small & Medium Practice Category), Ardent was a repeat winner. "We believe that giving recognition to SMPs inspires firms like ourselves to actively continue to evolve to meet the challenges of the changing business and regulatory landscape," said Ardent. 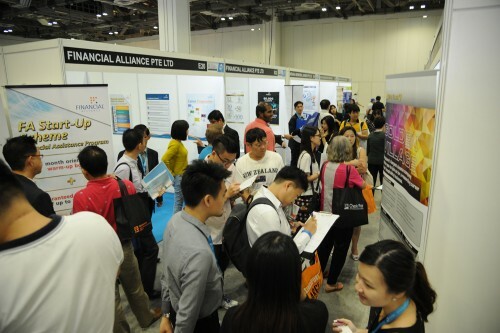 Other winners of the Business Excellence Awards included Deloitte Singapore, Ernst & Young, Nexia TS and Precursor Assurance PAC in the Innovation Award category, and CA Trust PAC for the Outstanding Growth Award. The Individual Excellence Awards, meanwhile, aim to commend professionals who embody strong leadership and professional qualities, possess sound technical knowledge and experience. 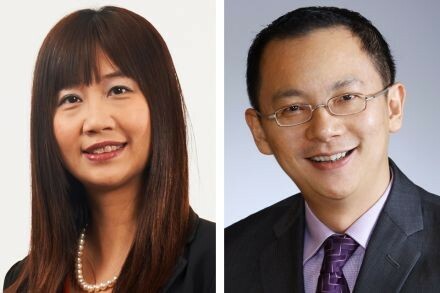 Kon Yin Tong, managing partner of Foo Kon Tan, and Yeoh Oon Jin, executive chairman of PwC Singapore, were joint winners of the Outstanding Practitioner Award for their contributions to their firms as well as the broader sector. Mr Kon has contributed significantly to the sector and profession, especially the Singapore Qualification Programme, where he is an examiner, as well as being the chairman of the SAC Singapore QP Council, and Singapore QP Learning and Assessment Committee. He said: "Over the years, I have had the opportunity to learn from others, and share what I have learnt with yet others. Through various appointments, I have met many experts in their respective fields of work and as collaborators, we have learnt and enriched one another to better our work." As for Mr Yeoh, he has helped to drive improvements to audit quality of the public accountancy profession as a board member of ACRA, and a member of the Public Accountants Oversight Committee. "I strongly believe in giving back to the society and am glad to have been given the opportunities to do so. In 2014, I was humbled to receive the Gold medal by ISCA for my dedicated and long service." The Outstanding Professional Accountant Award went to Chua Sock Koong, group CEO of Singtel. According to the award citation, "her story would be an inspiration to any accountant who aspires to reach the pinnacle of the business world one day". Said Ms Chua: "My training in accountancy has given me a solid foundation to understand business, appreciate the science of finance and the risk-reward trade-offs involved in managing businesses well. These are valuable skills that I have gone back to, time and again, as my colleagues and I took on the challenge of growing Singtel beyond the shores of Singapore." Other Individual Excellence Award winners were Belinda Teo for the Young Accountant in Practice Award and Andy Neo for the Young Accountant in Business Award.